Brachycephalic (also known as flat-faced dogs) dog breeds encompass several breeds that all have one major physical feature in common: they have shortened heads and more specifically they have especially shortened noses. 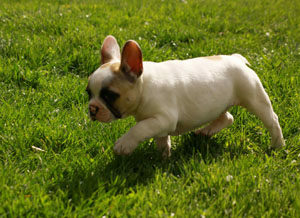 Examples of brachycephalic breeds include the Pug, French Bulldog and Bulldog, but there are several others also. This brachycephalic conformation is well accepted to be associated with several health issues for these dogs including breathing difficulties, skin fold infections, eye disease, difficulty giving birth and spinal disease. In recent years, the popularity of some brachycephalic breeds has risen hugely in the UK, to the point where the high demand for some brachycephalic breeds has imposed further welfare problems around poor quality breeding practices and both legal and illegal importation of puppies to supply a booming UK market for these dogs. Realisation by owners of the reality of owning one of these breeds, along with waning novelty value often means that these dogs are relinquished to rescue centres which further fuels a growing welfare concern. This complex phenomenon involving inherent health issues of individual dogs, welfare issues around high-volume breeding and importation practices, and high levels of relinquishment have conspired to create a brachycephalic welfare issue that is now recognised as one of the most pressing welfare issues for dogs in the UK. 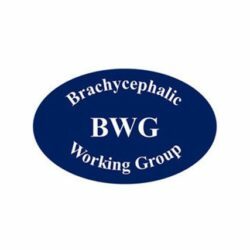 In response, all of the major stakeholders in dog welfare in the UK have formed a single body called the Brachycephalic Working Group (BWG) to try to improve the welfare of these dogs.